Hillcrest Day Nursery celebrate 25 years of providing childcare and education, the Owners John & Jennifer Fleck approached H&A Mechanical Services having experienced several problems with the old Oil Fired Boiler which was the primary source of heating the premises. On close inspection and a detailed survey of the property and on listening to the specific needs of the Owners H&A where able to put forward a proposal of how the premises could be heated more efficiently and in a more environmentally responsible manner. 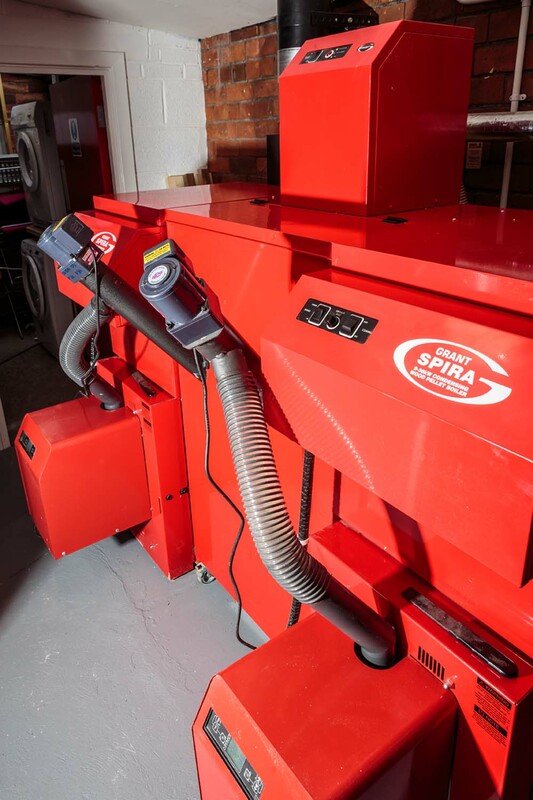 With the benefits of ease of installation, its straightforward operation and low maintenance a Grant Spira Biomass Boiler was installed and commissioned in 3 days. The Nursery is now benefitting from cheaper fuel costs and lower carbon emissions and will also generate an income as the system qualifies for the Governments RHI. 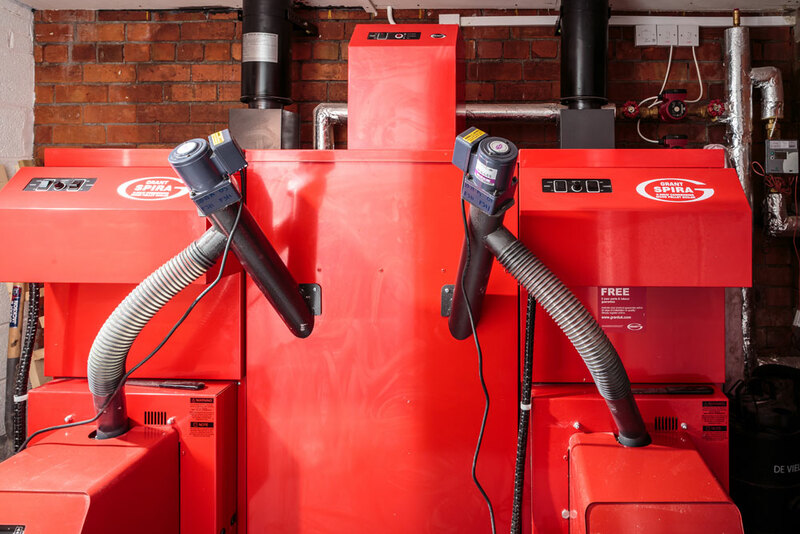 A unique feature of the Grant Condensing Biomass Boiler is that the patented technology results in the boiler requiring very little maintenance. 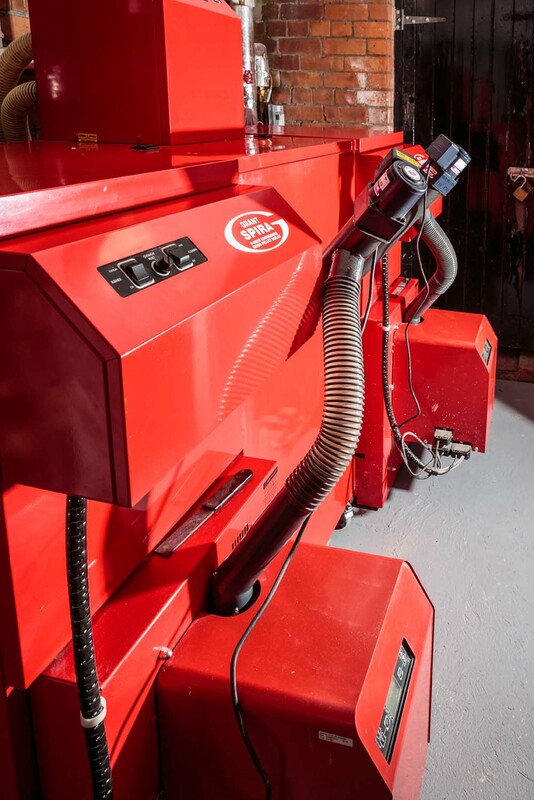 The boiler has an automatic self-cleaning system for the primary and secondary heat exchangers to ensure they stay free of debris, additionally it includes a self-cleaning burner. “As John & Jennifer Fleck, owners of Hillcrest Day Nursery in Annadale Avenue in Belfast we are delighted with the service provided by H&A Mechanical Services, the system is easy to use, has reduced our heating bills enormously. We used to spend £450 per month on Heating oil, which can be harmful to the environment. We now spend less per month on woodchips which are renewable, sustainable, and less harmful to the environment. Our staff, parents, and children are all pleased that we are contributing to a lower carbon footprint. The two 36KW burners and small hopper arrived at the nursery on a Tuesday morning at 8am. The team from H & A arrived at 9am and the work of installation commenced. The old oil 250,000 BTU oil boiler was taken out and the new two 36KW burners and small feed hopper were installed and up and running on Thursday afternoon, with all systems working perfectly. The Burners were duly tested and given their commissioning certificate from Grant Boiler Systems on Friday morning. At that stage we had to turn down the thermostatic valves on all 23 radiators in the nursery as the place was too hot.